Adjustment–it happens all the time. We have to adjust each semester when we have new classes and new teachers. We adjust when we move into a new ward. Adjustment is necessary when one returns from a mission or gets married. Children adjust when they enter a new school or when they get a new teacher. We even make small adjustments when, for example, we have Monday classes on Tuesday. We adjust to change a lot, sometimes without giving it very much thought at all. I just returned from serving a mission in Europe. It was amazing, but I had absolutely no idea about the adjustment that stood before me as I returned home. I had no idea how much I would miss the people I served with on my mission, or how hard it would be to adjust socially, academically, and emotionally. I just thought it would be exciting and wonderful to be with my family, and it was! But, it was also inexpressibly hard at times. I have been home for just over three months and I am finally getting used to life at home. Now, imagine how hard it would be for a student going from, let’s say, kindergarten to first grade. He or she has new classmates, a new teacher and classroom, and possibly is going to school for a few more hours than the previous year. Changing seats was always stressful. Imagine how it must feel for a first grader to enter a whole new classroom. He has to figure out rules of a new classroom setting and build a relationship with a new teacher. Now that we have imagined what it’s like for a student to undergo a grade change, imagine what it would be like for a teacher to get a new class and make all kinds of adjustments, starting from the ground up in building relationships with students, establishing strong foundations of classroom management, and more! How will you help your future students make smooth adjustments into your class? Evaluate the ways in which you adjust to new situations and new people NOW, so that you will know how to help students LATER. You know that scene in The Sound of Music where Julie Andrews teaches the children, “When you sing you begin with do re mi”? 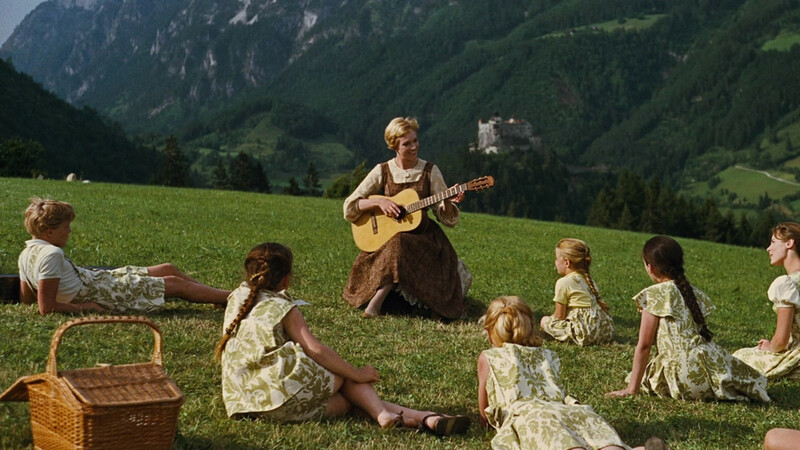 Those syllables—do re mi fa sol la ti do—are called solfege or solfa. That will give you the needed background for this except of a conversation between a group of professional musicians. We all nod in agreement as we each remember that, in fact, Curwen did develop the hand signs to accompany Guido’s system of pitch nomenclature. The solfa syllables were developed in the 11th century by a monk and musician named Guido of Arezzo. John Curwen, a music educator of the 19th century, established corresponding hand signs to facilitate teaching children to sing. And in case you were curious, Zoltan Kodaly was a pioneering music educator from Hungary whose methods are still widely used, especially at the elementary level. A handful of future choir teachers at the St. George conference. The scene of this incredibly specialized conversation about the history and practical application of music teaching you ask? 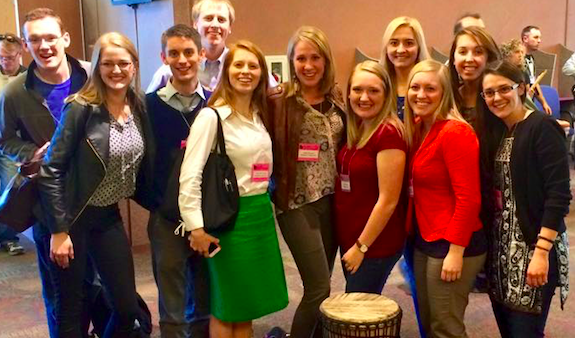 The Utah Music Educators’ Association (UMEA) Conference in St. George earlier this month. The participants? Three undergraduate, pre-service teachers and three professional educators. Obviously I’m one of the undergrads, but let me introduce you to the rest of our company: the other two pre-professional teachers are my best friends. We met in the music program about three years ago and we’ve been “the trio” ever since. One of the seasoned educators was our first ever professor in the program; this past weekend, she was inducted into the UMEA Hall of Fame. Another veteran teacher in our midst runs the music preschool on BYU campus; watching her at work and helping out at the preschool has been an important part of our development as teachers. Finally, we have the legendary high school choir director who is currently mentoring my friend through her student teaching. Two of these three all-star teachers presented workshops at this professional development conference. And we all got to just chat about our trade for a little while. Needless to say, I felt super cool after that. As we walked out to the car, I remarked to my friends, “We get to have fun music chats with professionals in our field!” One of them answered with a smile, “Our colleagues.” And then it hit me—I get to be a real teacher! It was the equivalent of realizing you got promoted to the grown-up table at Thanksgiving dinner. We are the rising generation of educators! Our teachers, professors, and mentors are “raising us” so we can guide our field forward in a changing world. Someday, we’ll be the ones presenting at teacher improvement workshops. The mental shift from “those are my teachers” to “these are my colleagues” made things real for me. Recently I had someone ask me, “Why does your classroom feel so different?” I asked her what she meant, assuming she was probably talking about my lack of organization, or the crazy 80s color scheme my school decided to use. She proceeded to tell me that the learning environment just felt different. I honestly couldn’t come up with an answer. After she asked me a few questions and was getting ready to leave, I finally realized what was she was referring to. It’s because my students know the “why” of everything we do and learn. Very quickly into the beginning of the year, I got easily frustrated with my students’ “line behavior”. They wouldn’t line up quietly, they talked down the hallway, and they couldn’t stay in straight lines, despite my constant efforts to keep them that way. I was mortified being the intern who couldn’t walk her 30 students down the hallway. My mentor asked me one day why I cared so much about my students walking in the hallway quietly. I explained to her that I was embarrassed. We talked about strategies and ideas, but then an idea dawned on me. That afternoon, I sat my students down and asked “Why do we need to walk quietly in the hallway?” My students began by saying things like “because it’s a school rule” or “because you told us to”. Then I pushed their thinking more by asking, “But why do I care if you walk in the hallway quietly?” They were stumped. So then I asked, “Well, imagine you’re taking a test, and a really noisy class comes walking down the hallway. What are you thinking about? Are you going to do well on your test?” This sparked a conversation about how it was respectful and polite to walk quietly in the hallway. They began realizing the impact that their behavior had on me. They realized that I looked like a “bad teacher” because I couldn’t keep my class quiet in the hallways. From that day on, all I’ve had to ask them is to show me their hallway behavior. For each student their specific behavior is different, but it is quiet. If a student forgets the rules, I simply have to stop them and remind them, and the problem goes away. I use this strategy in all my discipline management. If a child is whistling during a test, I ask them to stop because it is distracting others. When a student says something mean to another student, I ask them how they would feel if someone said that to them. When someone steals something off my desk, I explain how it hurt my feelings and how it stinks that I don’t have that item anymore. My students now have a reason to obey and follow rules. Overall, I’ve noticed that my students respond to people who are real. They know when you aren’t invested in a lesson because something is on your mind. They know when you are thinking something you are required to do is ridiculous. They know when you love the topic and want them to love it too. Be upfront and honest with your students so they trust you and know that everything that comes out of your mouth is worth their time. Honesty is always the best policy. I want my students to leave with more knowledge and truth than they had before (see quote above). *Disclaimer: I am NOT saying this has solved all my behavior problems. This method has simply prevented a lot of behaviors so I don’t have to intervene later. In January we had the wonderful opportunity of hearing from our McKay School dean, Mary Anne Prater. I was really inspired by her words. She spoke of how her passion for teaching has developed throughout her life. It all began when she received a calling as a primary teacher! Her words made me reflect on the experiences in my life that have helped me develop a passion for teaching and a love for children. I also had the chance to teach primary. Although it was quite trying at times, I truly learned to look at those children through the eyes of the Master, Jesus Christ. As I listen to my eight-year-old sister read, my passion for teaching increases. That moment in a child’s learning when the “light-bulb” comes on and they begin to understand and apply what they have learned is such a priceless experience. Countless experiences in my life have contributed to my passion of teaching and my love of children. This opportunity to teach in primary also helped Dr. Prater recognize our need to learn from children and become like them. Jesus Christ always encouraged children to come unto Him and He commanded us to “become as little children” (Matt. 18:3). In the classroom we can live the gospel of Jesus Christ. We don’t teach the principles of the gospel at the chalkboard, but through our examples, as we treat each student as a child of God and follow the Spirit to know our students’ needs. In these moments, we are living the gospel! Lastly, Dr. Prater identified the mission statement of the McKay School of Education: “We strive to model the attributes of Jesus Christ, the Master Teacher, as we prepare professionals who educate with an eternal perspective.” The education that we receive here at Brigham Young University, in the McKay School of Education, will not only help us as teachers in the classroom, but will help us in the eternities as mothers and fathers. What experiences in your life have helped you to develop a passion for teaching? This month, we will have the privilege of being inspired by Mike Tunnel, professor of children’s literature. The lecture will be held on Thursday, February 26th at 11 a.m. in room 115 of the McKay building. You are invited!